Students Sam Moody and Sarah Grace Stone and staff member Rhonda Taylor received Algernon Sydney Sullivan Awards on Monday. Troy University has honored two students and a member of the University’s staff with the 2018 Algernon Sydney Sullivan Awards. Sam Moody, a senior risk management and insurance major from Montgomery, Sarah Grace Stone, a senior social work major from Pike Road, and Rhonda Taylor, administrative assistant to the Dean of the College of Communication and Fine Arts, received the Sullivan Awards during a luncheon in their honor on the Troy Campus. The recipients were also honored during the University’s annual Honors Convocation on April 16. The Sullivan Award, which is presented at select colleges and universities throughout the United States, recognizes recipients for their excellence of character, humanitarian service and spiritual qualities. The award has been presented annually to a male student, a female student and one non-student at TROY since 1981. Students, faculty and staff nominate candidates for the award. Moody is president of TROY’s Student Alumni Association and served as director of Alpha Tau Omega’s Walk Hard fundraising initiative. An active part of the campus community, Moody served as Student Government Association vice president for campus activities in 2016-2017, as a Trojan Ambassador from 2015-2017, a SGA Senator in 2015-2016 and Freshman Forum vice president, 2014-2015. He also is active in Campus Outreach, including working with the organization’s Beach Project. Moody is the recipient of the Chancellor’s Scholarship, the Troy University Student Alumni Association Scholarship, The Council Foundation Scholarship and the State Farm Foundation Scholarship. He is a member of the Order of Omega and Alpha Lambda Delta honor societies, as well as a member of Gamma Iota Sigma, the international risk management, insurance and actuarial science collegiate fraternity. Stone has served as a Student Government Association Senator for the College of Health and Human Services and as a member of the SGA Traffic Appeals Committee, the Freshman Forum, the TROY Panhellenic Public Relations Committee, the Collegiate Singers and Chi Omega. She is a recipient of the John Kline/Troy University Leadership Award and Scholarship and the First Baptist Foundation Scholarship. A lifelong member of Montgomery’s First Baptist Church, Stone has served as a summer volunteer for the church’s Vacation Bible School, Kids Kamp and Youth Camp. She is active in TROY’s Campus Outreach and has participated in numerous mission trips, including to trips to Puerto Rico and Haiti. Stone also has served as a member of the College Leadership Team of First Baptist Church, Troy. 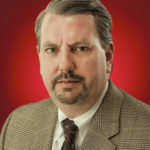 Andy Ellis is the Director of Communications at Troy University.